Car Rental Istanbul is ideal to explore this ancient capital and travel back and forth between two continents: Asia and Europe. While driving around Istanbul, be wary of red lights and don’t count on them; Make sure to check all directions before moving forward. That said, the same goes for green lights. Pedestrians will sometimes walk in front of your car, so be careful at all times. If parking on the street, you may be greeted by a parking officials who will give you a parking pass and collect fees. There are also garages and public parking lots. Where to pick up your car rental in Istanbul? CarsiRent offers the following locations for you to pick up your Car Rental Istanbul: - Istanbul - Sabiha Gokcen Airport - Istanbul - Ataturk Airport International We also have other locations from Downtown Istanbul to pick up your car rental istanbul inside the city. What do you need for your Car Rental in Istanbul? The following documents are needed for your Car Rental Istanbul: - A valid driving license, you may need an International driving license - A valid credit card to be used for the security deposit - A valid passport and visa - Must be at least 25 years old Make sure to always check terms and conditions and your rental voucher before your pick up for an easy smooth experience. Istanbul is unique with its history and location bridging both Europe and Asia in one unique city. 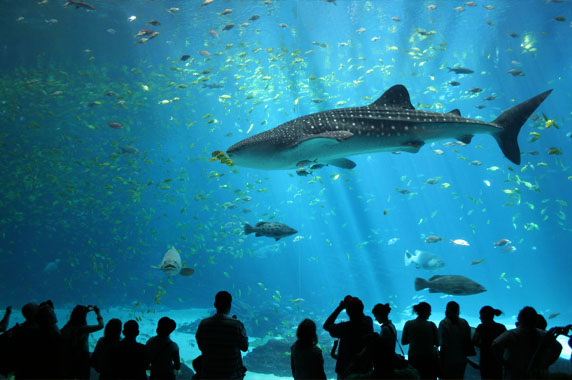 With your car rental Istanbul, there are a lot of unique experiences to explore. 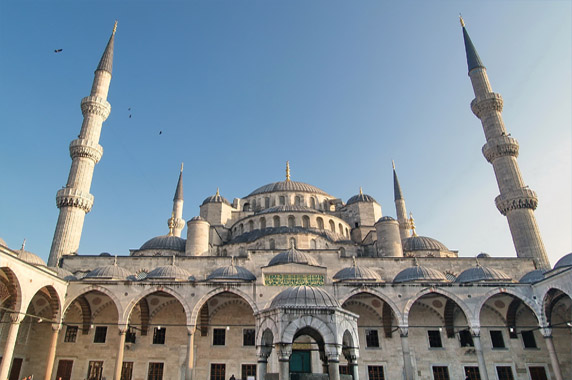 One of the first things to do is to visit the Hagia Sofya, an architectural delight that was once a cathedral, then a mosque, and now a museum. You also have to visit the extraordinary Blue Mosque. 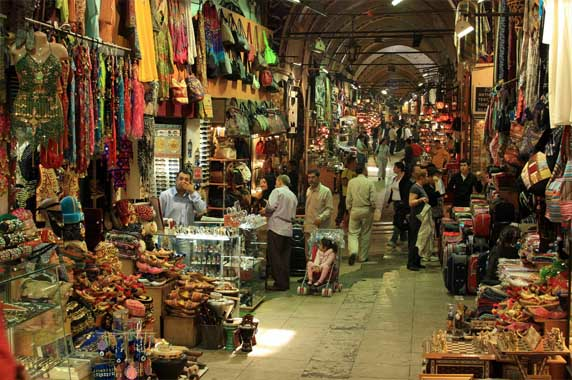 Make sure to make your way to the Grand Bazaar with all its colors, smells, and incredible products…make sure to haggle on the price. Take a tram ride into Istiklal, a 2km-long pedestrian avenue with a mix of shops, churches, restaurants, mosques and hotels. The weather throughout the year in Istanbul goes through all four seasons. During the summer, it is usually warm and very humid with very little rain in June. July and August are dry, humid, and hot. It can get quite cold and wet during the Winter months with the occasional snow fall; it is by far the wettest season. Spring (March to May) and Autumn (September to November) are by far the best seasons for visiting with mild weather. While daytime temperature may be very pleasant, it can get chilly in the evenings. It can also get windy in Istanbul year-round. Use your Car Rental Istanbul to drive yourself from one amazing gastronomy experience to another. There’s quite a lot to taste and enjoy. You can start with a Turkish classic, the Döner kebab. The Menemen is a delicious Turkish style omelet with roasted onions, peppers, tomatoes, and eggs. The Lahmacun is a very thin and crispy dough topped with minced seasoned meat. Of course, you have to sit down and enjoy an array of Meze, the meal may just take the whole afternoon/evening. Of course what better way to satisfy your sweet tooth then with some decadent and sweet Baklava. 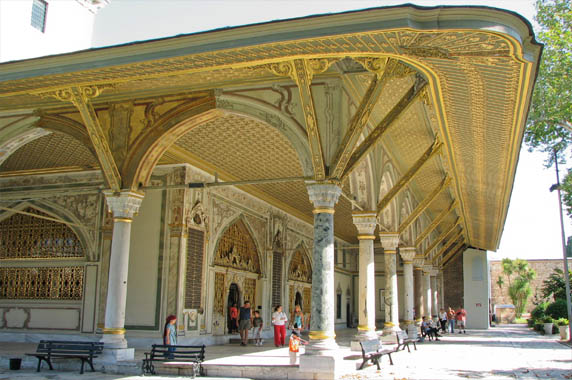 There’s so much to explore with your car rental Istanbul from mosques, markets, museums, and culinary delights! Below is a sample of all that Istanbul has to offer: - Go to the Grand Bazaar - Check out a whirling dervish show - Pamper yourself at a Hamam - Walk down the Galata Bridge - Take a Bosphorus cruise - Hagia Sophia - Basilica Cistern - Visit the Istanbul Archaeological Museums - Valens Aqueducts - Blue Mosque - Süleymaniye Mosque - Ortaköy Mosque - Topkapi Palace - Walls of Constantinople - Dolmabahçe Palace - Istiklal Avenue - Museum of Turkish and Islamic Arts No matter how much we list in here, Istanbul will still have many more gems to explore. Having a car rental Istanbul maybe the most effective way to explore the city. Where to Road Trip from Istanbul? 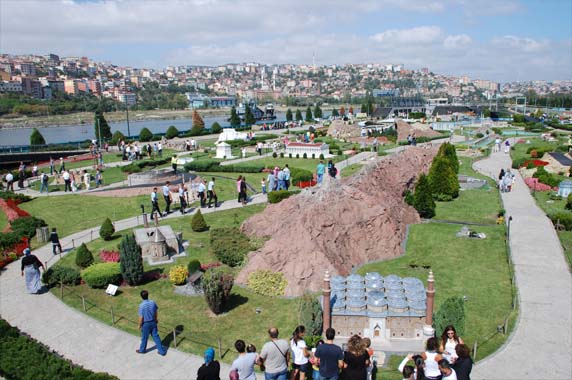 Taking a few days out of the city for road trips with your car rental Istanbul is a fantastic way to see some of the Turkish countryside, mosques, ancient Roman ruins, and battlefields. The list below is our suggestions for day trips out of Istanbul: - Iznik - Gallipoli - Troy - Edirne - Bursa - Prince Islands - Cappadocia - Kaymakli Underground City - Ortahisar Castle - Rose Valley - Çavu?in rock village - Pigeon Valley - House of Virgin Mary - Ephesus - Pamukkale - Gollopoli battlefields - Kilyos - Belgrad Orman - Anadolu Kava - Pamukkale Hote Springs Don't forget to have your Car Rental Istanbul for an unforgettable round trip in the city. Fill in the above search box with your details and search the best options for Car Rental Istanbul.